The fairytale runs of Stefanos Tsitsipas and Danielle Collins were also extended as they too swept into the last four. 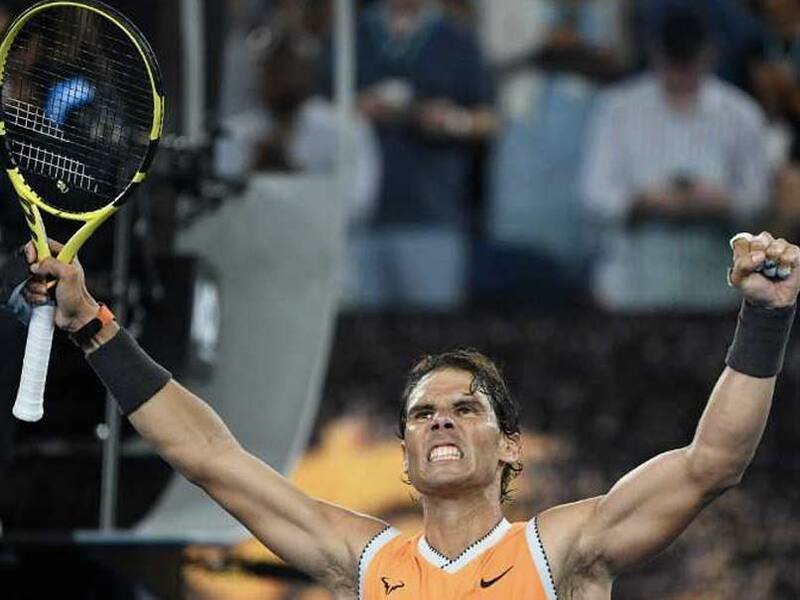 Rafael Nadal continued his relentless march towards an 18th major title Tuesday as an emotional Petra Kvitova swept into her first Grand Slam semi-final since a terrifying knife attack almost ended her career. On day nine of the Australian Open, the fairytale runs of Stefanos Tsitsipas and Danielle Collins were also extended as they too swept into the last four. 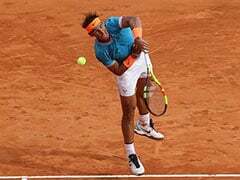 Second seed Nadal inched closer to winning an event he has only claimed once before when he trounced unseeded American Frances Tiafoe 6-3, 6-4, 6-2 in another ruthless display from a man who has not dropped a set so far. Tiafoe had announced himself by beating fifth seed Kevin Anderson, but was no match for a player at the peak of his powers as he attempts to become only the third man to win all four Slams twice and the first to do so in the Open era. "I had some trouble at this event all my career, so I'm very happy with the way I played tonight," said the Spaniard, who faces another young gun Tsitsipas in the semi-finals. "I feel lucky to be where I am." Greek sensation Tsitsipas powered into the last four with a measured 7-5, 4-6, 6-4, 7-6 (7/2) win over Spain's Roberto Bautista Agut. The 20-year-old, who ended Swiss great Roger Federer's tournament, became the youngest man to reach the semis at Melbourne Park since Andy Roddick in 2003 and the first player from Greece -- man or woman -- to get so far at Grand Slam. "I'm just living the dream, living what I've been working hard for," said the 14th seed, who lives in Cyprus but trains at the academy of Serena Williams' coach Patrick Mouratoglou in France. 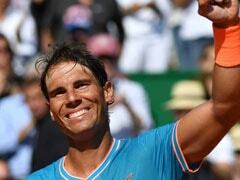 "I feel a bit emotional but not too much -– I know I really worked hard to get here, playing in semis of a Grand Slam." Czech Kvitova had not gone past the last eight at a major since a burglar slashed her left hand in December 2016, forcing her out of the game for six months and leaving her with lasting nerve damage in the fingers of her racquet hand. But the eighth seed has bounced back and is on a sensational 10-match unbeaten streak after claiming the Sydney International warm-up title. She proved too much for Ashleigh Barty, crushing the local hope 6-1, 6-4, and was in tears afterwards as she reflected on her long journey back to the top. 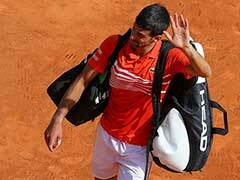 "Really, I didn't imagine to be back on this great stadium and play with the best," the two-time Wimbledon champion said. "I'm calling it as my second career. So it's the first semi-final of the second career. I'm really enjoying it." Kvitova will face unseeded American Collins in the semi-final on Thursday and she desperately wants to reach Saturday's decider. "I want it bad, that's right," she said. Collins, the world number 35, had never won a Grand Slam match before entering this year's tournament but she stunned three-time major champion and second seed Angelique Kerber in round four. And the 25-year-old from Florida continued her Cinderella run by bouncing back spectacularly to down Russia's Anastasia Pavlyuchenkova 2-6, 7-5, 6-1 in the quarter-finals. "This has all been a really incredible experience," she said. 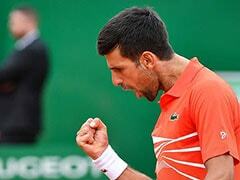 "This time last year I was playing a challenger (tournament) in Newport Beach. But, yeah, I think I'm really embracing it. It makes it a lot easier when you play in front of great fans and really good energy."